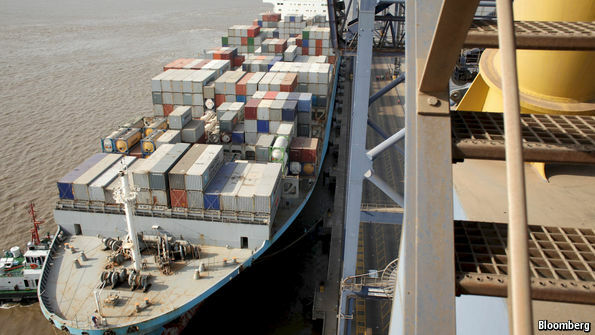 trade deficit in goods—empty containers. policymakers this is an irksome reminder of the weakness of the country’s manufacturers. deficit, and thus the need for external financing. sound monetary policy have helped tame. company, are in line for further handouts. drugs than they used to. road linking the countries, worrying it will only widen the trade imbalance. proposed by Foxconn, a Taiwanese electronics outfit which mainly manufactures in China. projects often fall quietly by the wayside when bureaucratic obstacles prove insurmountable. Foxconn is already said to be rolling back its ambitions. it will be a while before its devices (whose assembly it outsources to Foxconn) are made in India. Instead, they will further weigh down the ships entering its ports.